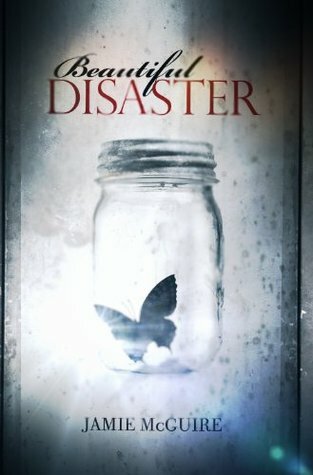 Beautiful Disaster will grab you instantly from the beginning with a force so tight there is no chance to let go. Abby is starting a new life. She is trying to escape her past with her best friend America at her side. America convinces Abby to go to an underground fight. Shelpey, America’s boyfriend, cousin is fighting. Travis, the tattooed, defined, fighter wins his fight, and notices Abby after blood is sprayed all over her after his winning punch. Travis is drawn to Abby, and wants to continue a friendship with her. Abby knows that Travis is not the kind of person for her, but she cannot deny being drawn to him. After Travis and Abby make a bet, she loses, and this will change their friendship relationship. Abby’s past catches up with her, and Travis is more than willing to help Abby out of the mess. Beautiful Disaster is an incredible read with the love-hate relationship between Abby and Travis. America and Shepley are always at their side. Travis definitely has a hotness that cannot be ignored. As the story unfolds, Abby’s past is revealed and you gain an understanding on why she is trying to ignore her attraction to Travis. Abby is definitely stubborn, and that attracts Travis even more. She is far different from the other girls that seem to throw themselves at Travis’ feet. However, even Abby cannot deny any longer how perfect Travis is for her. I don't have the patience for Audio books so I always admire people who can get through them! This isn't a bad place to start though. Nice review! I've haven't listened to many audiobooks in my life but I'm slowly getting back to listening to them. They're pretty good and sometimes even better then me simply reading a book. So I'm glad you enjoyed this one! Can't say I was fully in love with it but . . . it was quite addictive despite a couple of things I didn't like.